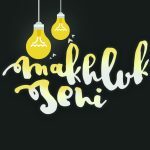 Makhluk Seni hopes to celebrate the arts by nurturing new talent by providing them with the right space for them grow naturally. We believe in the power of the community, and that we can empower one another to achieve great things. So from planning events to training for creative thinking, we do it all. We all are, in some ways, Makhluk Senis. M.A.T.i (Music Arts Theatre Inspire) believes that if one lives and dies with their art, and that it is a noble path that deserves a platform for it to be shared. M.A.T.i is an art showcase where anything, if believed in strongly, is accepted as art. It moves to put together diverse forms of art into a tight 2 hour setting to serve as a sample platter for the artfully inclined and for those who don't find much interest in the arts. The days in which M.A.T.i is held will be divided into the day session and night session. The day session will use the hall for talks, classes, mini performances and activities that aim to bond both outside attendees and university students. The night session will see to a 30 min open mic and immediately after, the M.A.T.i main showcase. Aiming to finish early, a role call and quick bow, the performers are invited to go out and engage the audience, to foster camaraderie and also establish themselves as performers. 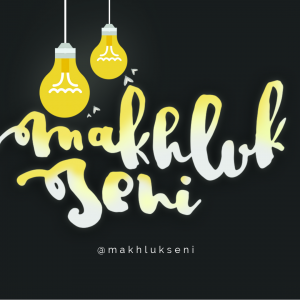 Perjumpaan Makhluk Senis are open events where we gather fellow MakhlukSenis together to share and showcase their art. It can take the form of Open Mics (Our current monthly open mic is run by our Melawati team @JalanDalam_) to M.A.T.is and many more. The goal is to test out different show formats and elements to best accentuate the art form that is included. Currently in the works is Tea time sessions with art, Poetry debate sessions and Theatre. We would love to hear from you if you'd like to try something out. Bring it on!